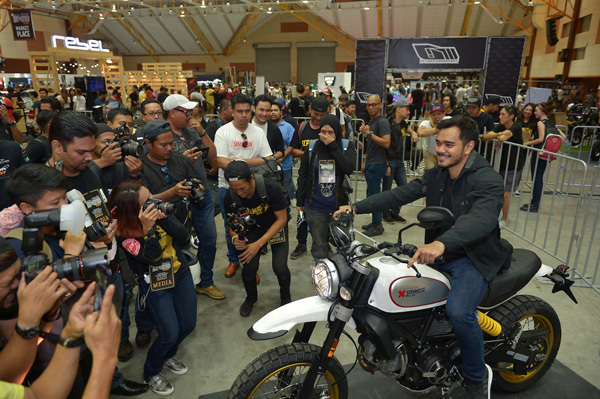 MAEPS (29 July 2017) — Taking advantage of the sixth installation of Art of Speed, Malaysia’s main homegrown Ol-Skool & Kustom Kulture, Next Bike Sdn Bhd, the official distributor of Ducati motorcycles in Malaysia, today launches two new variants of the popular Scrambler model, the Café Racer and Desert Sled. Art of Speed, which takes place on 29th and 30th July 2017 at the Malaysia Agro Exposition Park Serdang (MAEPS), aims to give movers and shakers of the local customisation scene more exposure and have been gaining good traction over the years. 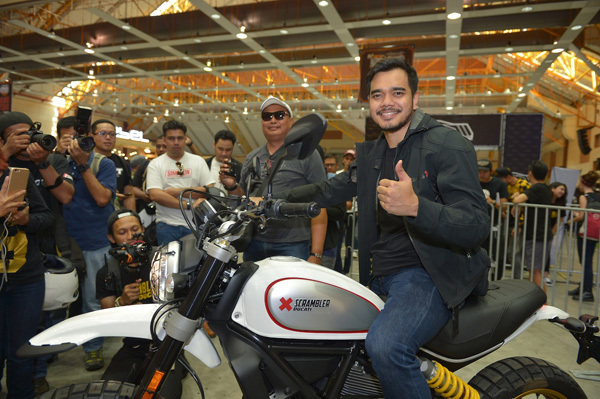 “The Ducati Scrambler brand has been an excellent platform to get into the growing customisation scene here. The introduction of two new variants would elevate the scene even further”, said Datuk Wira SM Faisal Tan Sri SM Nasimuddin, Group Executive Chairman of Naza World Group of Companies. Creative, youthful and spirited, the Ducati Scrambler is more than just a motorcycle, it is a brand that enhances creativity, self-expression and the sharing of positive emotions. It is a universe of fun, joy and freedom made of motorcycles, accessories and apparel. Except the Sixty2 variant which uses a 400cc engine, the Icon, Classic and Full Throttle variants is equipped with a 803cc, L-Twin, Desmodromic powerplant that makes 73 hp at 8,250 rpm and 67 Nm at 5,750 rpm. 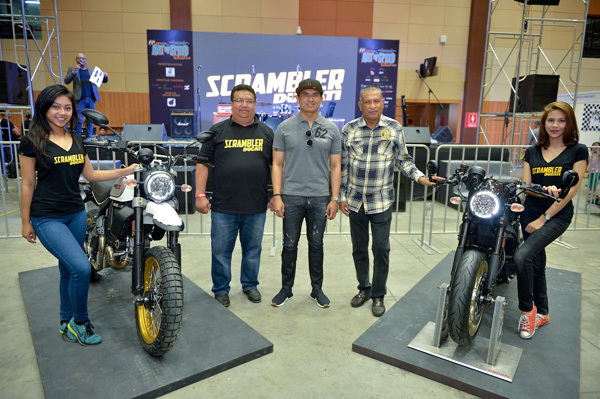 The two new variants joins the current Scrambler line-up. 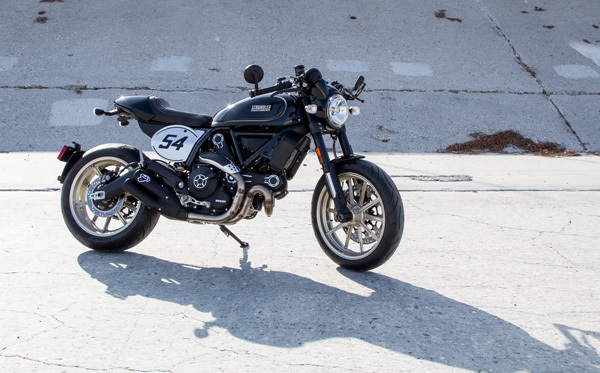 The Ducati Scrambler Café Racer, Scrambler’s interpretation of the legendary bikes that created a revolution in the motorcycle world, is an expression of free spirit and an emblem of style. Its ‘Black Coffee’ colour brings back the 60s to today’s Land of Joy. The Ducati Scrambler Cafe Racer is priced here at RM68,899.00 including GST. 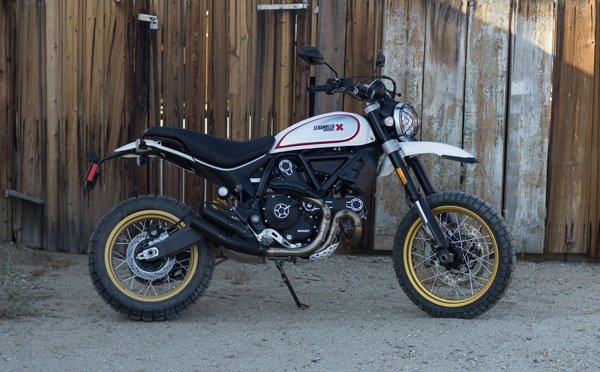 Straight from the desert and mountains of California, Ducati Scrambler Desert Sled makes its entry in the Land of Joy, an enduro version inspired by the world of offroad motorcycles that made history in the United States during the 60s and 70s. Desert Sled inherits the Urban Enduro logo as it is its explicit evolution. In fact, it is to its strong offroad character that we owe the new riding position characterised by a higher seat, a reinforced frame and fully adjustable suspension, the presence of a type-approved grid on the front headlight, the engine protection, and with the new Pirelli Scorpion Rally STR tyres with spoked wheels 19″ front / 17″ rear. The Ducati Scrambler Desert Sled is priced at RM68,899.00 including GST. Visitors of Art of Speed 2017 are all invited to the Ducati Scrambler display booth as well as test ride all the current selling Ducati line-up. There will also be a special promotional price for test ride units and 2016 models. Next: MSC Malaysia and Singapore Qualifiers Finals ends with a bang!